We recommend configuring UpMail to send emails directly from your own corporate SMTP email server to increase the deliverability rate, but if it's not possible we then recommend to authenticate UpMail email server to send emails on your behalf. This is called a domain whitelabelling. It's still possible to send emails without performing the domain whitelabelling. Whitelabelling is the functionality that shows ISPs that UpMail has your permission to send emails on your behalf. This permission is given by the act of pointing very specific DNS entries from your domain registrar to our infrastructure. Once these DNS entries are entered and propagated, recipient email servers and services will read the headers on the emails you send and check the DNS records to verify the email was initiated at a trusted source. 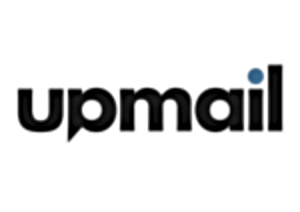 In order to accomplish this, you need to contact us with the list of domain used by all users on your UpMail account. We will then provide a list of CNAME records that needs to be added to your DNS. Once this is done please let me know has it usually take 48h to propagate and we’ll then confirm the DNS records have been validated.